The Medical Genetics Residency Program, which is based in the Department of Pediatrics, utilizes combined clinical genetics services, basic science research, and education programs of five MedicalSchool departments. The primary goals are Board Certification in Medical Genetics and preparation for a research career in academic genetics. Training leading to Board Certification in Clinical Cytogenetics, Clinical Biochemical Genetics or Clinical Molecular Genetics is also offered. 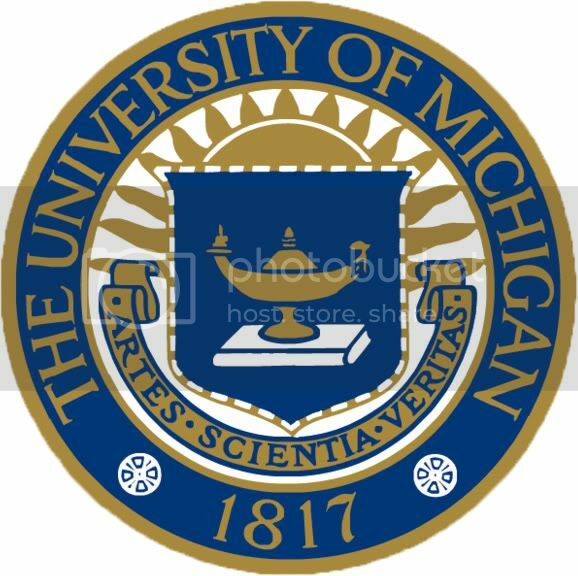 The University of Michigan is a major research University with Schools of Medicine, Dentistry, Veterinary Medicine, Public Health, Engineering, Literature/Science/Arts and many others. It is one of the leading institutions in the nation for federal and private research expenditures (> $700 million/year). Much of this research support comes from the NIH and all Genetics research/teaching faculty are NIH-funded. The University of Michigan has an outstanding history of research investigation and basic science/clinical training in Human Genetics. The Department of Human Genetics is well-known throughout the world. It began in 1941 as the Heredity Clinic, a unit of the Laboratory of Vertebrate Biology, and was headed by Dr. Lee R. Dice. In 1956, the Regents of the University created the Department of Human Genetics and the late Dr. James V. Neel was the first Chair. The late Roy Schmickel established the first Division of Pediatric Genetics here at the University of Michigan in 1968. Therefore, the University of Michigan has a long-standing tradition in the provision of clinical genetics training. The Department of Human Genetics offers, in conjunction with Pediatrics and Internal Medicine, a strong research faculty. There is a broad range and depth of research experience in Human Genetics including: Somatic Cell Genetics, Cytogenetics, Genetic Epidemiology, Developmental Genetics, Population and Statistical Genetics, Cancer Genetics, Gene Therapy and Biochemical Genetics. The Department has a strong group of mouse developmental geneticists. This group meets monthly for joint research lab presentations in the Mouse Club. Research experience and strong NIH funding have made this an outstanding human genetics training program. Department of Human Genetics faculty have played a major role in obtaining and maintaining training grants that support predoctoral students in many basic science departments of the Medical School. The Department of Human Genetics is home to two major NIH predoctoral training grants. The Predoctoral Training Program in Genetics has been funded since 1978. This is an interdepartmental program involving graduate students from the Departments of Human Genetics, Microbiology and Immunology, Biological Chemistry, Pharmacology, and Biology. This is the largest training grant in Genetics in the country and has 12 funded positions. A training grant in Genome Sciences, based in Biostatistics in the School of Public Health, began in September of 1995. The training program is intended to provide students with advanced training in both molecular and computational genetics or mathematical/statistical aspects of genome research. Many of the faculty in this training program are members of the Department of Human Genetics and participate in the training of Medical Genetics residents. Pediatric Genetics faculty hold joint appointments in the Department of Human Genetics and participate fully in the research and teaching of graduate students. Genetics teaching faculty in Internal Medicine also hold joint appointments in the Department of Human Genetics. Consequently, this structure facilitates collegiality and collaborative investigations between members of the Genetics Residency Teaching Faculty. The Center for Organogenesis was established in 1994 with a strong commitment of support from the President of the University. It is a multidisciplinary group of investigators whose interests lie in the determination of molecular, cellular and genetic factors involved in organogenesis. Members come from the Department of Human Genetics, Anatomy/Cell Biology, Pharmacology, Physiology, Bioengineering, Pathology, and Biology. The Center is funded by a NIH training grant for 6 predoctoral and 6 postdoctoral positions. Residency Teaching Faculty are integral members of the Center for Organogenesis, which facilitates research into the genetic determinants influencing organogenesis and malformation. The Center provides, among other things, a Morphology Core laboratory facility that generates mouse embryonic sections at different gestational ages for gene expression studies. The University of Michigan Medical School is home to a NIH-funded General Clinical Research Centerthat offers nursing support and hospital space for a multitude of clinical research trials involving pediatric or adult patients. Numerous projects utilize the services of the Human Applications Laboratory, a state-of-the-art facility for the production of viral or other vectors for gene therapy trials. The University of Michigan Medical School has numerous outstanding Biomedical Core Lab Facilities that are supported by user fees and the Medical School. These core labs include DNA sequencing and Genotyping, Molecular Biology, Protein and Carbohydrate Structure, DNA Synthesis, Flow Cytometry, Hybridoma, Biostatistics, Biomechanics, NMR, BL3, Cell Biology, and the Transgenic/ES Animal Model Core Lab. Standard transgenic experiments and ES stem cell manipulation and gene targeting are routinely performed. Teaching and Research Faculty of the Medical Genetics Residency Program participate in many interdisciplinary programs and centers including MSTP (NIH Medical Scientist Training Program), CMB (Cellular and Molecular Biology), Predoctoral NIH Training Grant in Genetics, NIH-funded Genome Sciences Program, CBT (Cellular Biotechnology), NIH-funded RSP (Reproductive Sciences Program). Endocrinology and Metabolism, Diabetes Research and Training Center, University of Michigan Cancer Center, and the Institute of Gerontology. Most of the Genetics training faculty participate in at least one interdepartmental program. A unique opportunity for training is in Teratology and Fetal Pathology in the Division of Pediatric Genetics coordinated by Dr. Mason Barr. Dr. Barr is a world-renowned fetal pathologist and teratologist who has collected data on thousands of autopsies performed on normal and malformed fetuses. The extensive database is searchable and provides a huge resource for many kinds of studies. Dr. Barr's experience and expertise in fetal pathology are valuable components of the program. Guidance in performing fetal pathologic examination and experience in understanding the anatomic pathologic basis of malformations are major strengths of that rotation. Therefore the research opportunities among the faculty at the University of Michigan are ideal for genetics residents. The spectrum of topics in both clinical and basic science is broad and well funded, particularly by the NIH.